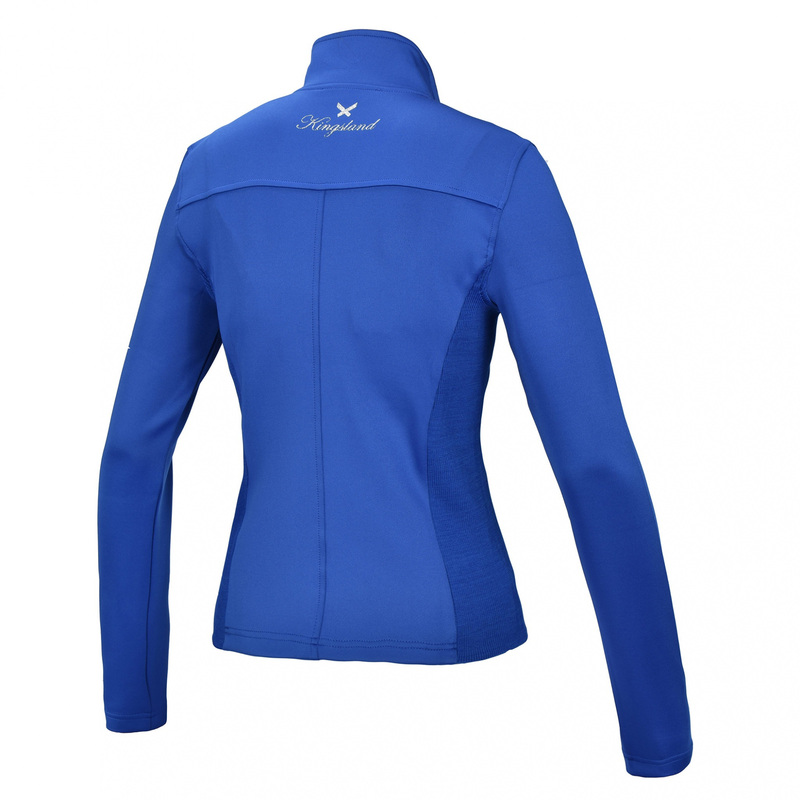 Light elastic jacket. It is made of shiny jersey with a nice to touch fluff on the inner side. Due to its welt panels sewn in on the sides, the jacket perfectly fits to the body. Fastened with silver YKK zip. Its side pockets are also zippered. 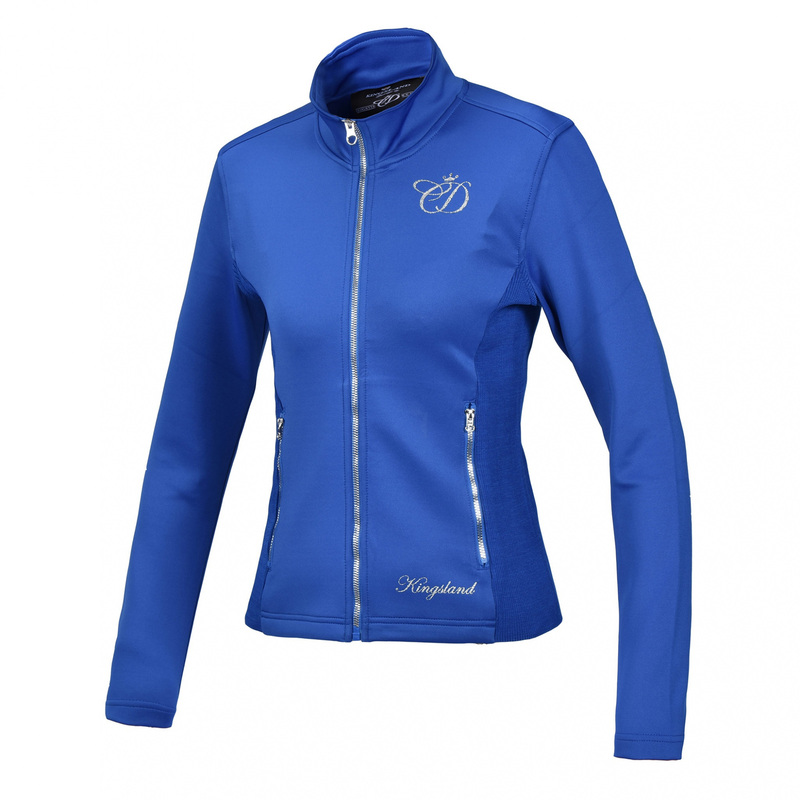 The jacket is decorated with Kingsland writing on the front and by the neck and with Charlotte Dujardin's initials on the chest.